Our hardware design engineers have extensive experience in electronic circuit design for many different applications. They use an array of schematic capture and layout software during the PCB design phase and are usually able to work with our client's existing toolsets. They can manage all aspects of the development including component sourcing and prototype builds. OrCad, CadStar, EasyPC, Edwin, Pads. High-speed digital design; DSP, processor and glue logic; FPGA/CPLD solutions. Mains/Battery power, analog designs to client specification. High frequency and antenna design. 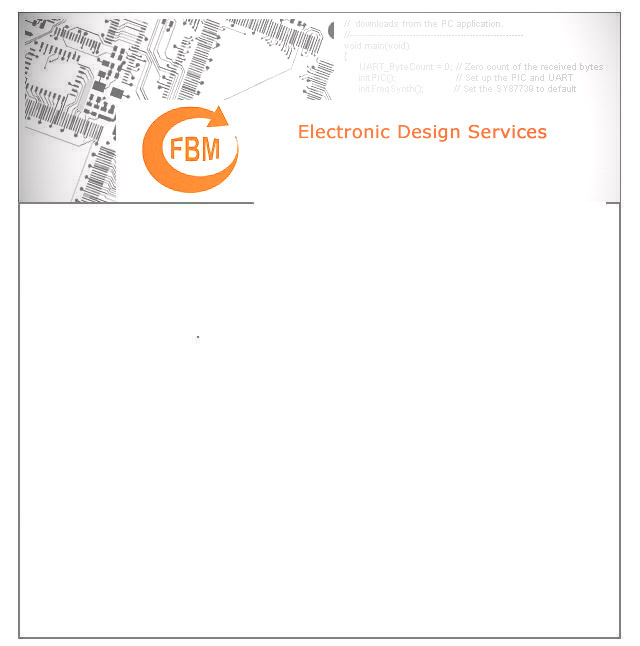 Established relationships with PCB manufacturers, component supply & board assembly companies.